I found these patterns online and fell in love. 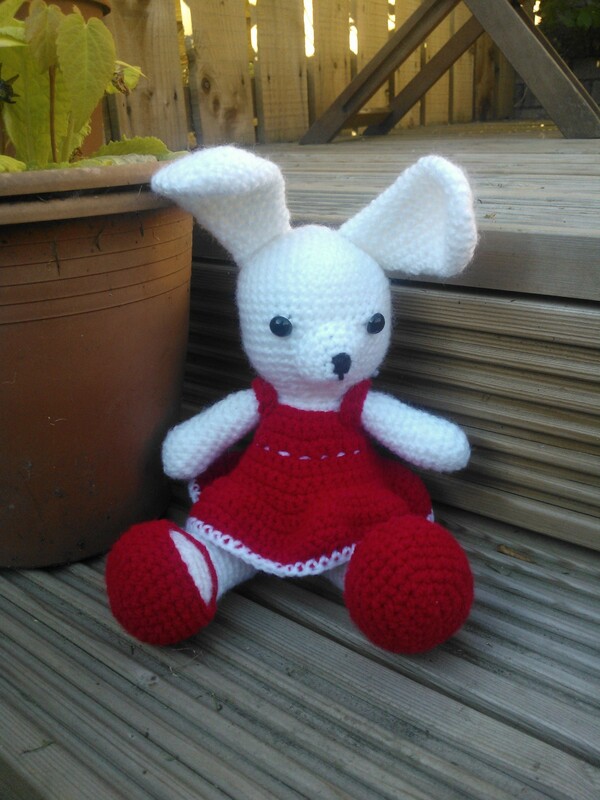 The bunny’s are so easy to make and the clothes even easier. 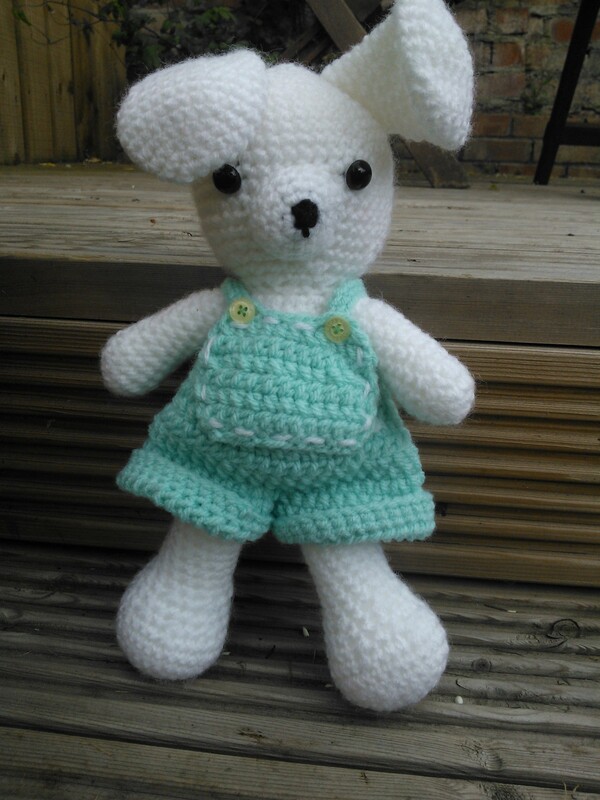 I plan on making the dress and dungarees in a variety of colours. I love them they are so cute – next I need to make the baskets and carrots for these adorable animals to carry.